Ford has released upwards of $30 million in offers directed to individual customers. These offers are on top of all other available incentives. The Ford Private Offer program is designed to reward prior Ford Customers as they look to purchase new Ford Vehicles. Fill out the form below to find out whether you have a Ford Private Offer. To check out all of our new vehicle inventory click here! Any customer living in the same household may claim the Ford Private Offer. You must live in the same residence to qualify. This offer is non transferable and the Ford Private Offer will expire on October 1, 2018. Each Ford Private Offer may only be claimed once per household. Sheridan Ford in Wilmington, DE is your place to claim your Ford Direct Offer. 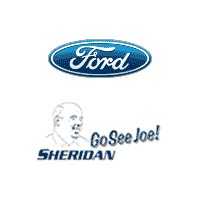 Any customer with a Ford Direct Offer can claim that offer at Sheridan Ford! We serve all your Ford needs, in the Newark, DE, New Castle, DE, Garnet Valley, PA and North East, MD. We are family owned and operated, and look forward to earning your business! You do not need to be a previous customer at Sheridan Ford in order to find out if you qualify, nor to receive the incentive at Sheridan Ford.